For such a small body frame, Lacey Mosley is a powerhouse on the vocals for Flyleaf. At first, it seems that Flyleaf is just another Christian Hard Rock band, but underneath the surface, there's really great music to be heard here. Songs like "Cassie" and "Fully Alive" are very refreshing songs and really warrant the sudden success of this band. This self-titled debut gets a little wobbly at times with songs like "All Around Me" because Flyleaf's harder songs are better than their attempts at a ballad, but this album still is great quality stuff. Flyleaf was getting a lot of press on the site, and they sounded like my cup of tea, so I checked this album out. To my dismay, this album is absolutely atrocious, and the musician everybody was [over]zealously [over]hyping was vocalist Lacey Mosley. I can't stand her on this album. In every song, she quickly inhales a sharp breath before she sings, and it's very distracting to listen to. Take for instance album highlight "Cassie," where Mosley offers, "*hiss* Do you believe in God? *gasp* Written on the bullet *exhale, hiss* Say yes to pull the trigger." Hell, just listen to the opening vocal notes to album opener "I'm So Sick," which is absolutely hideous as it is. Instances like the aforementioned make for an infuriating listening experience, and her range is very suspect; in short, there are plenty of female rock vocalists that do it better. The guitarists play pretty standard fare and their passages as a whole are ultimately boring, but the bassist is solid as one-half of the rhythm section. If it wasn't for the pretty good mixing and production that helps Lacey (the chorus of "Fully Alive" is one of Lacey's highlights), this album would be torturous to listen to. In all, how you approach this album depends on if you can handle Mosley's awful vocal mannerisms when she sings and if you like bland guitarlines. The best of the worst: "Cassie," "Fully Alive," and "Perfect." The last two-thirds of this album should be avoided like Michael Jackson at a preschool. Flyleaf is an album which is far more concerned with highlighting the talents of Lacey Sturm's lovely voice, and this isn't nearly as over the top as Amy Lee's vocals. The record's faults mainly lie within the musicianship, which certainly works for Christian rock standards but doesn't showcase very much diversity when it comes to songwriting; practically to the point of being as basic as possible. 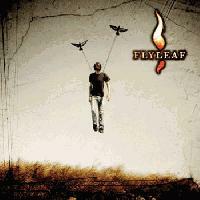 For what it is, in the end, Flyleaf's debut album is chock full of some enjoyability. The female vocalist right here can be a hit or mess; I find her in between. Her voice is beautiful yet extremely whiny/freakishly nasally at the same time. Instrumentation wise, Flyleaf isn't really profound on complex time signatures and all that jazz, but instead relies on simple yet effective riffs that are amazing to hear. Pretty cool album, probably their best. I don't care what anybody has to say about my liking Flyleaf. This album is awesome, and I will never recant such enjoyment. A great debut with some of the best moments in their career. Terrible, Didn't even suit my taste. Nothing about this was out of the box. It was kind of interesting to listen to, but thats about it. All I can say is its the truth on how alot of teens feel. Flyleaf also tells the truth about God. It's not ' This is how I see God' it's more like ' This is God' and try to explain who He is and that Hes there. All Around Me is a song of praise, Most people don't understand the relationship that most peole have with God, most live there own lives. But over all there amazing and this album is really powerful. This sounds like Stained got a new singer. Couldn't be happier. BTW no disrespect to Stained.